Tendonitis is a condition that occurs when a tendon is inflamed. Tendons are the connective tissues that attach muscles to bones. Repetitive movements are often the cause of tendonitis. If you have tendonitis, you feel it just outside of a joint, typically pain and/or tenderness. 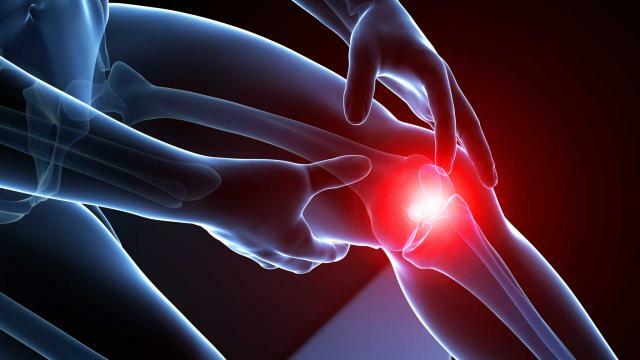 When tendonitis that is sudden or acute in nature does not receive appropriate treatment, it is possible that it develops into a long-term or chronic condition. There are points and locations within the human physique where tendonitis happens so frequently that there are common names for them. Rotator cuff tendonitis happens in the shoulder, and elbow tendonitis is often called tennis elbow or golfer’s elbow. Wrist and thumb issues are classified as de Quervain’s disease. Achilles tendonitis afflicts ankles, and jumper’s knee is tendonitis of the knee. Diabetes and other chronic conditions sometimes cause calcific tendonitis, which is the result of calcium accumulations on joints. Regardless of the many forms tendonitis can take, it is something that individuals can treat with a combination of rest and physical therapies. Tendonitis has five primary signs or symptoms. Swelling and tenderness are two common signs, as are warmth and redness together. A crackling sound doctors call crepitus might take place. Any pain that worsens with movement is also an indication that it’s time to call a doctor. The risk factors of tendonitis include obesity or being overweight, as this leads to increased physical pressure on bones and the associated ligaments and tendons. Some infections increase the chances of tendonitis, as do automimmune disorders like Type 1 diabetes. Some inflammatory conditions can have an impact too, such as ankylosing spondylitis or Reiter syndrome. Tendonitis has been researched enough to know not just the risk factors but also specific possible causes. Falling, and lifting or carrying heavy items are known causes. Within the realm of sports and exercise, undertraining, overuse and improper or poor technique all can result in tendonitis. In the workforce, repetitive motions, like typing, are also known to cause the conditions. Mainstream and conventional medicine does offer relief, treatment and hope. X-rays are used by doctors, as are other diagnostic tools, to learn about the extent of each case. Treatment options run a wide spectrum of possibilities, from rest, ice and stillness of the afflicted area, to NSAIDs and steroid injections, to massage, physical therapy and strengthening exercises. There is even growing evidence that tendonitis can be treated with ultrasonography, which is high frequency sound waves that raise a body area’s temperature and boosts blood circulation. One possibly successful treatment vector for tendonitis is acupuncture. Even though it is considered by some to be a complementary or alternative form of medicine, the National Institutes of Health itself reports that acupuncture might hold promise in cases of tennis elbow. Two different scientific studies have shown that acupuncture in cases of tendonitis provided substantially more pain relief than the placebos they were compared to. Acupuncturists are of the belief that tendonitis sufferers have liver meridians with primary deficiencies, while at the same time, their gallbladder meridians have relative excesses. Many acupuncture therapists use what they call the balance method of acupuncture to correct these issues, bringing healing and relief to anyone who suffers tendonitis, as well as many other musculoskeletal issues. Tendonitis typically has three distinct stages. The first is a dull ache that happens after physical activity, but also diminishes after a period of rest. The middle stage is pain that occurs with even minor movement, like getting dressed in the morning. The last stage is constant pain. Regardless of what stage any person is in, tendonitis should not go untreated, lest it become chronic. A combination of a good primary care physician and an acupuncturist can go a long way towards relieving and correcting tendonitis.